This single origin coffee has tasting notes of sweet caramel with a hint of chocolate and a good acidity. 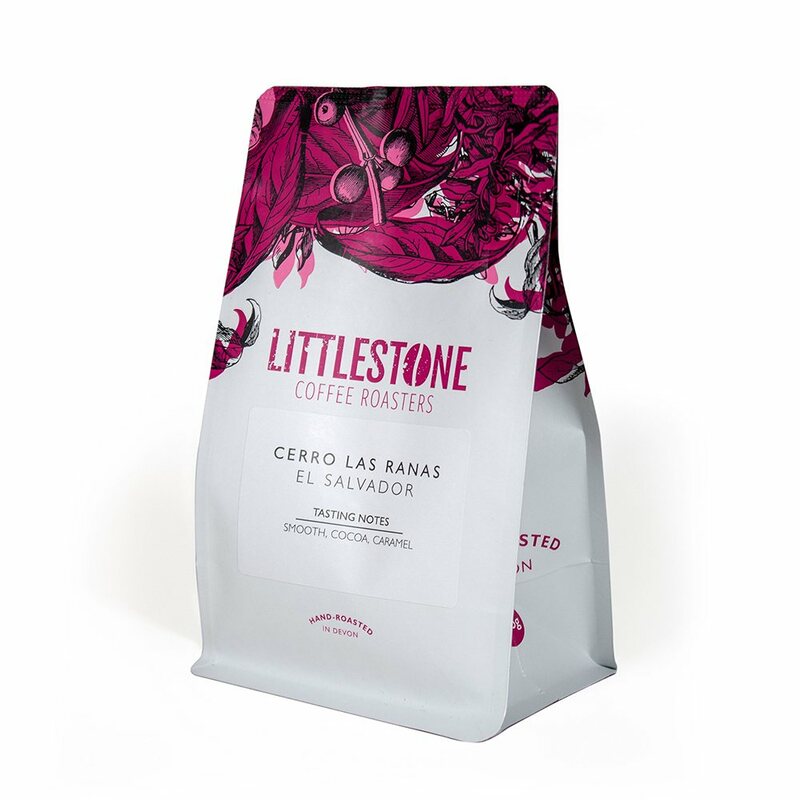 Cerro Las Ranas is one of the specialty coffees that comes from the San Francisco Farm, one of the most significant estates of the JASAL group in El Salvador. Their coffee is recognized for its semi-washed process and chocolate notes that arise from the production method and the mucilage left on the coffee beans before they dry on the patios. Littlestone Coffee Roasters roast their coffee in small batches to keep things as fresh as possible. They are passionate about supporting coffee farmers so ensure that their coffee beans are not only the highest quality but are also sourced ethically and sustainably. Choose the ground option if you are using for filters or a cafetiere, the finely ground option for espresso or choose whole beans if you have your own grinder to freshly grind your coffee beans at home. Available as a 225g, 500g or 1kg bag. A small family-run artisan coffee roastery based in Exeter, Devon, selling ground and whole bean freshly roasted coffee.